HUPO works to provide students with various opportunities to supplement their classroom learning, develop relationships with their classmates (and future colleagues), and network with professionals in a range of career fields related to planning. Every year, we initiate interactive sessions with planning concentration faculty heads to provide first-year MUPs an overview of the spectrum of academic and professional avenues in the field of urban planning. Additionally, HUPO has organized practitioner lunches and panels to enable students to interact with seasoned planning professionals. The series has been organized around the different concentrations in the program, ranging from real estate and housing to international planning, ensuring that students have a chance to speak with mid-career professionals representing each student’s varied interests. In past years, we have also organized photo days, so that students can have professional headshots on hand when applying for jobs and internships. these events draw students from around the GSD and Harvard’s campus more broadly to discuss the role of planning and design professionals in areas ranging from gun violence prevention to international development. Finally, a unique aspect of the program is HUPO’s relationship with the Loeb Fellowship, a mid-career program for civic leaders of all types at the GSD. 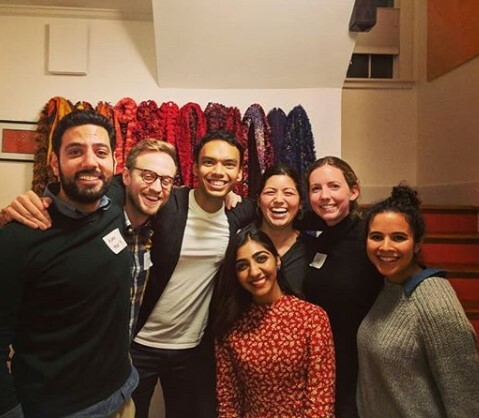 Each year, HUPO and the Loeb Fellowship organize a series of dinners to introduce students to the Loeb Fellows and forge relationships that last throughout the year and beyond, which many students say have been among the most valuable they’ve made in their time at Harvard. HUPO members publicize and encourage students to attend APA young professional events in Boston, and we also have a standing partnership with the APA-MA chapter. We also regularly help organize and fund Harvard students who are attending the national APA conference each year.